The 99 Problems hitmaker and the Pretty Hurts star are said to have rejected the chance to attend the nuptials, which are expected to take place in France, because they don’t want to appear on Keeping Up With The Kardashians. 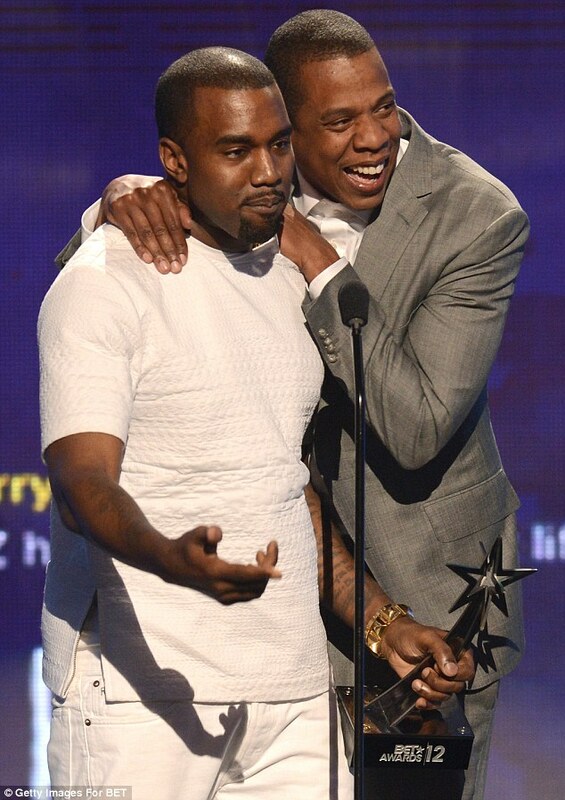 An insider told The Sun newspaper: ‘Jay Z would be there if it wasnt going to be such a public event.’ Snub: Jay Z and Beyonce have reportedly turned down the chance to attend Kim Kardashian and Kanye West’s wedding because he doesn’t want to appear on Keeping Up With The Kardashians While Jay and Beyonce are not expected to attend the wedding alongside the rest of the Kardashian clan, the rapper is going to make it up to the couple by splashing out 100,000 on a rented yacht for their honeymoon. Jay is also said to be preparing a lavish stag do for Kanye at his New York club 40/40. The insider added to the publication: ‘Instead hes making it up to his mate by throwing him the most extravagant stag do known to man. Nuptials: But to make up for the snub, Jay is set to splash out 100,000 on a rented yacht for Kim and Kanye’s honeymoon ‘It will cost a small fortune and to top it all off, hes chucked a 100,000 yacht rental in there as a wedding gift as well.’ Jay and Kanye have been good friends for years, and their partners Beyonce and Kim who has 10-month-old daughter North West – both recently enjoyed a catch up at their favourite dermatology clinic. A source told MailOnline: ‘Beyonce and Kim did speak at the clinic. They had a friendly chat and then went about their days.’ Happy couple: Jay (second left) and Kanye (second right) have been good friends for years, and their partners Beyonce (left) and Kim (right) both recently enjoyed a catch up at their favourite dermatology clinic It had previously been reported that Beyonce who has two-year-old daughter Blue Ivy with Jay wasn’t as keen to chat to Kim.